Summer is that unique and special time which we all dream about. It seems we will never get tired of it. And maybe, deep down, we just want to live in an eternal summer; but then perhaps it would stop being so enticing. That’s why we should make the most of those three months a year, instead of staying at home and letting the good times pass us by. To really get the most out of the summer, why not consider a language stay? Today Paloma, a Spanish student who visited us for six weeks, tells us about her summer experience at IEF. Take advantage and take note, because next summer it could be you who will have a lot to tell. Why do a language stay during the summer? I love to travel and last summer I had the opportunity to improve my English by making a language stay in Ireland; and since the experience was great, I decided to repeat. In the summer you find a lot of people who have more free time, and can do this type of travel. For me, it is a great opportunity. I already had two very important languages, Spanish and English, but I think a third language makes a difference when it comes to development and employment in a professional arena. In addition, I would like to do my Erasmus Program in France, and French was the perfect language to learn. How did you get to Montpellier? When I did the process to go to Ireland I went through an agency, and this time I repeated with them. I was offered several options, and I had a difficult time narrowing the field. 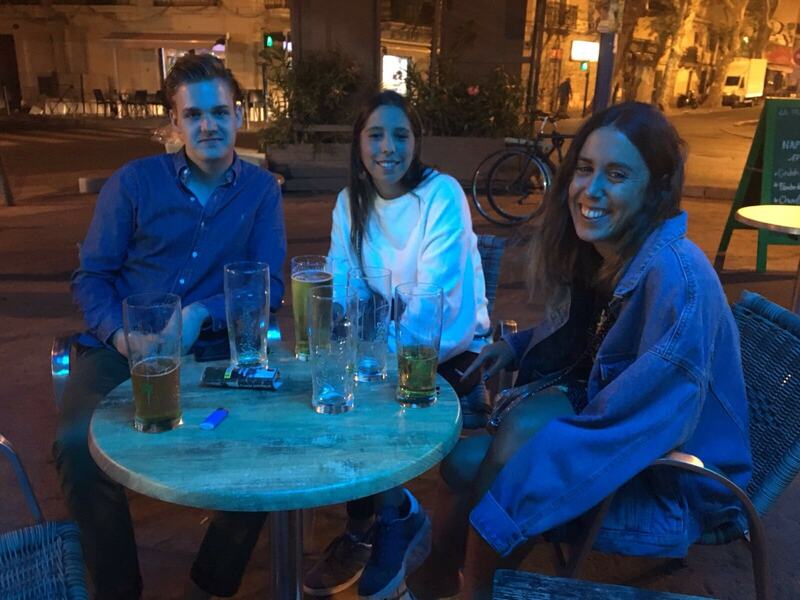 In the end, I decided on Montpellier since it is close to the sea, and because many friends had told me it was a place full of young and very open people, with many activities and an excellent summer atmosphere. How about your IEF experience? It has been a super experience. The teachers are a charm and they were always very aware of me, of my learning and of helping me with anything necessary. Also, when I arrived in France it was hard for me to talk, and I felt a little shy. With the IEF courses I made a lot of progress. I managed to move up quickly, and it seemed to me the teaching methods of the school were great. I loved Montpellier so much I am considering doing my Erasmus there. I liked everything: the bars, the esplanades, its little streets, and the great culture of the city. There are a lot of people who sing, dance or paint in the open spaces, and many more entertaining things. I was totally delighted, so much so, I felt sorry when I had to leave. What were your favorite activities in the city? I loved spending days in Montpellier because there were always things to do. My favorite activity, no doubt, was to go to the Parc du Peyrou and enjoy an aperitif there among friends. In addition, the summer is a wonderful season to be in the city. I loved “les estivales”; I attended them all while I was there. So many summer festivals gave a super atmosphere to the city. And although it is outside of Montpellier, I loved to get to know Avignon. I was lucky enough to be there during the city’s theater festival; on every street we found theatrical stops and many cultural activities. What advice can you provide students so they have a unique stay? Open up to people and encourage yourself to make friends outside of school, especially, natives. I loved that with my group of friends from school, we made a new group of friends with French people. This allowed us to practice the language and also to learn things you would not know, unless you become involved with the local residents. 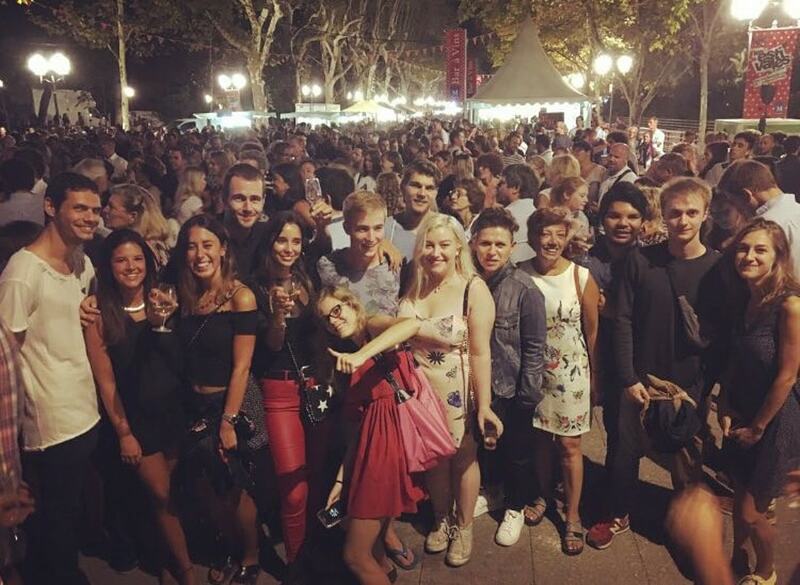 Have fun in Montpellier while learning French!